Protesters outside Richard Spencer’s failed talk at Michigan State, March 5th, 2018. The last several weeks saw two major victories for the emerging anti-fascist forces in the United States. First, on March 5th, Richard Spencer’s talk at Michigan State University faced overwhelming opposition, with elements of the Traditionalist Worker’s Party being driven off from the event, leaving a paltry audience of approximately a dozen people for Spencer’s hour-long reflection on the victories of the tiki torch rally and the “bit of a disaster,” in his words, that took the life of Heather Heyer in Charlottesville. The complete failure of the Alt-Right to secure a platform for speech at Michigan State elicited Spencer’s now widely circulated admissions that “antifa is winning,” and that spreading genocidal rhetoric on college campuses was no longer “fun.” Days later, on March 13th, Matthew Heimbach, leader of the Traditionalist Worker’s Party, after failing to support Spencer at Michigan State, was arrested for a sordid brawl involving his top spokesman, father in law, and former TWP member Matt Parrott. The two got into an altercation over Heimbach sleeping with Parrott’s wife that spilled out into a Wal-Mart parking lot. As of March 14th, The Traditionalist Worker’s Party website has been taken down, and there are numerous reports that the party is beginning a “rebranding” campaign much like Vanguard America after their member, James Fields, murdered Heather Heyer in Charlottesville. These victories provide an occasion for anti-fascists in America to reflect on the course of our movement against fascism, white supremacy, and Nazi apologism, and on which approaches and tactics work and which do not. From Berkeley and Austin to Chicago and Charlottesville, anti-fascists across the country have made impressive progress in consolidating, expanding, and developing diverse movements. 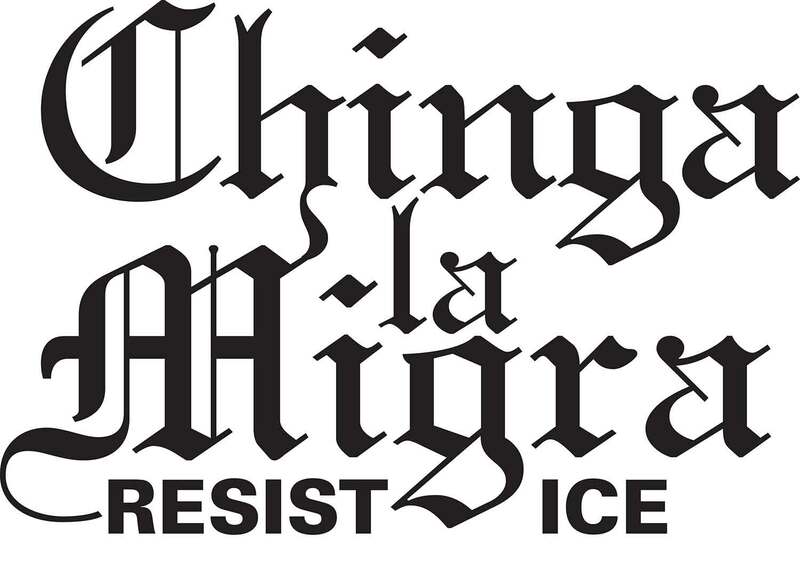 Alongside physical removal, anti-fascists have built community support programs, aid programs, and educational initiatives, methods the APL has endorsed previously on the Phoenix. Antifa is “winning,” in Richard Spencer’s words, because this diversity in tactics is united by a shared principle across anti-fascist crews, parties, and sects: that fascists should be given no platform for speech and growth on college campuses or anywhere else. If anything can be taken from the defeat of Spencer and the Traditionalist Worker’s Party in Michigan, it is that there can be no debate with fascists. Communists must reject the liberal and revisionist notion that dialogue or public debate with fascists provides any positive benefit for our movement against capitalism and fascism. Richard Spencer and the TWP withered under a no-platform campaign, but as these forces reorganize themselves, adapt, and reemerge to threaten our communities once again, it is essential that anti-fascists continue to build the anti-capitalist movement side-by-side with a strict dedication to no-platforming fascists. The APL and other anti-fascist organizations’ dedication to no-platforming is not shared by all elements on the left. Dugin-sympathetic “anti-imperialists” often highlight perceived shared grievances between “populist” movements and socialists, and claim that open discourse between the Alt-Right and Left might produce a positive coming together. Caleb Maupin’s “Students and Youth for a New America,” co-sponsored one such event in the summer of 2017, in which Maupin “debated” virulent Charlottesville fascist Augustus Invictus. The shared ground Maupin and Invictus had for such a debate, per the SYNA post announcing the event, was an opposition to “the psuedo-left of middle class activists who obsess with identity politics” which “is off putting to many working class Americans.” There is a principled, Marxist critique of identity politics as a liberal corruption of liberation struggles, but Maupin and his supporters instead attack it in reactionary terms and in the same way as fascists. Maupin openly states that the left “panders to blacks,” and “what pronouns people are called” a clear invocation of white-chauvinist identity politics, but it is not identified as such by him because for both fascists and Duginites, “identity politics” is used exclusively to attack minority groups while they pursue an identity politics that normalizes and glorifies white american chauvinism. Such debates and the ideology behind them also reveal a fundamental misunderstanding about the goal of fascist discourse in socialist spaces. 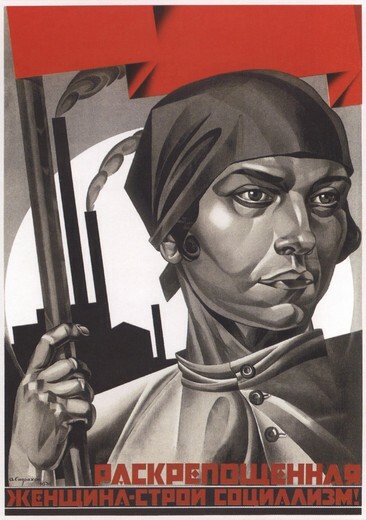 As identified by Palmiro Togliatti, the famous Italian Marxist-Leninist, and several other critics of fascist development, fascists enter left discourse to corrupt it and reorient it towards a Strasserite opposition to capitalist hierarchy down racial and ethnic lines. The history of fascism tells a story of violence against the left and corruption of class analysis when that violence fails. There can be no uncorrupted common ground with fascists, and those who continue to attempt to find it only amplify Nazi voices for no substantive gain for the movement against capitalism and fascism. It is not an error only Maupin and other Duginites make, the PSL’s Brian Becker invited noted antisemite and holocaust denying fascist Alberto Garcia Watson (and several other far right guests) to speak on his podcast and openly shared common ground with him, and others have encouraged more open dialogue with fascists. Opposition to such staged debates, interviews, and dialogues with advocates for genocide is not a question of purity, but of what tactics work and what tactics do not. A remarkable event on the ground in Michigan on March 4th revealed with little doubt the function and honesty of fascist rhetoric, and why we as activists must refuse to interact with it in any way. Moments after assaulting leftists and failing in their objective to reach Richard Spencer’s talk, Heimbach entreated a liberal urging calm to debate (at about the 5:20 mark and onwards in this video). Heimbach can be heard preaching about the right of his community to oppose capitalists, that he did not hate the man he was talking to, and that the disagreement could be resolved peacefully. In moments, Heimbach went from roman-salute throwing Nazi assaulting leftists to a tame moderate seeking peace and common ground. The progression is key: when violence failed, the fascists sought common ground by shifting from yelling racial epithets to rendering themselves as concerned citizens. This is why anti-fascists say without doubt that fascist rhetoric is violence and must be stopped at all costs. If violence can work, they will use it, when it cannot, they resort to candied words. It’s a method that is hardly new or unique to Heimbach or even the TWP. The Atomwaffen Division, a group of violent Nazis responsible for multiple murders, similarly have resorted to Strasserite, “anti-capitalist” rhetoric in the wake of several damning articles from mainstream media outlets and public bans from popular social media. This has been the strategy of the alt-right on college campuses across the country as well: violence if possible, poorly attended events protected by police if it is not. Anti-fascists have found success not in engaging the alt-right on these terms, but in silencing them before that rhetoric can produce enough fascists such that common ground debates are no longer necessary. The failure of Spencer’s college tour, the Traditionalist Worker’s Party’s turbulent fall into rebranding, and the growth of anti-fascist forces after the election of Donald Trump and the events in Charlottesville are encouraging developments. But these fascists, as history tells us, will come back in new and more deadly ways. The fight is far from over, as TWP and Alt-Right elements retreat to muster their forces to emerge once again as threats to all progressive people in the United States. These fascists use debate as a platform to pursue violent campaigns against people of color, LGTBQ+ communities, leftists, and countless others. If the first few months of 2018 show us anything as anti-fascists, it is that no-platforming works, and to prevent the further spread of fascist violence when they emerge once again to prominence, we must double-down on our commitment to implement it alongside a growing movement for peace, equality, and socialist democracy. 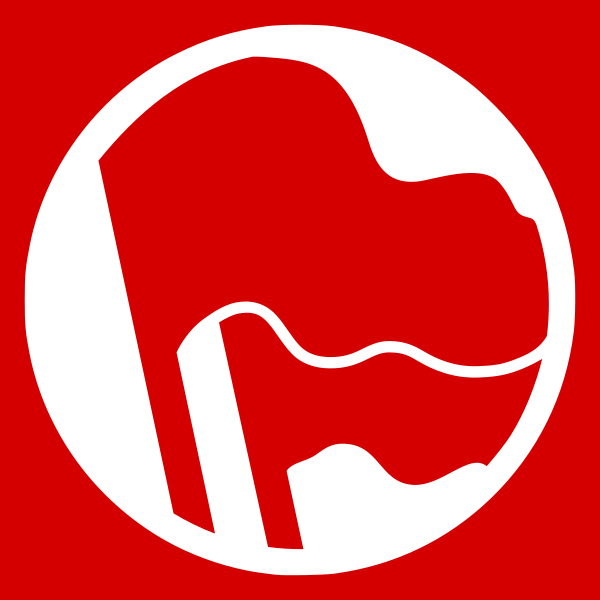 The American Party of Labor calls for all left forces within the United States to continue their campaign to deny all platforms for fascists, reject the liberal and revisionist myth of the shared space or “marketplace of ideas,” and join or support militant efforts to silence fascist events across the country.